Oak trees, yes--but what kind of oak trees? Find out at our April monthly program. 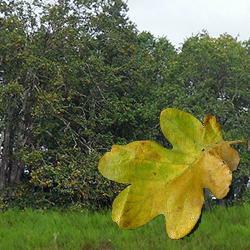 The Lakewood Historical Society presents local arboreal expert Kris Kaufmann’s virtual tour of the forest florae that put the “wood” in “Lakewood”: Garry Oaks, Douglas Firs, Madrona and more; plus the colorful stories behind the explorer/scientists who first named and described them. Tuesday, April 21, 7:00 pm at St. Mary's Episcopal Church, 10630 Gravelly Lake Dr SW in Lakewood. Free and open to the general public. Refreshments served.